The National College of Art and Design (NCAD) is located on Thomas Street in the Liberties area of Dublin. 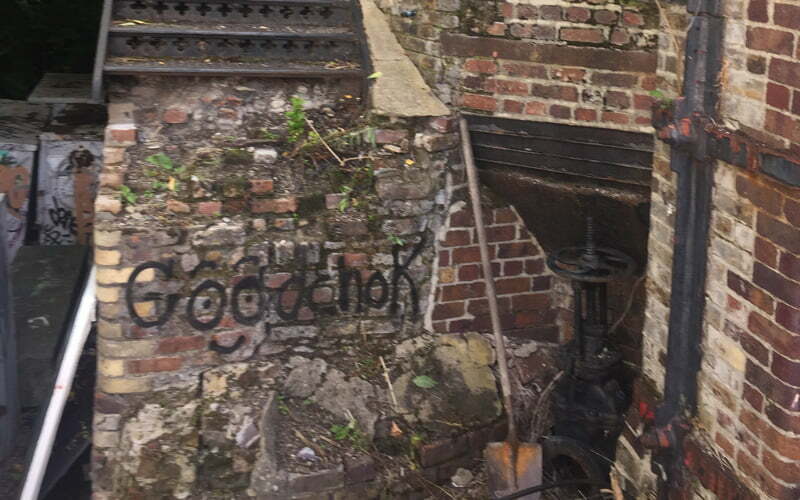 There has been a strong tradition of brewing and distilling on the street, and hidden in the NCAD courtyard are three old whiskey stills. 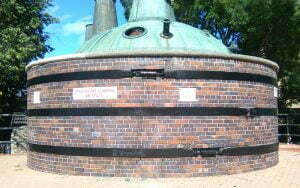 These were the Pot Stills of the Powers’ Distillery that once stood on the site. 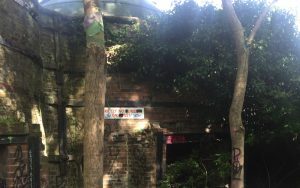 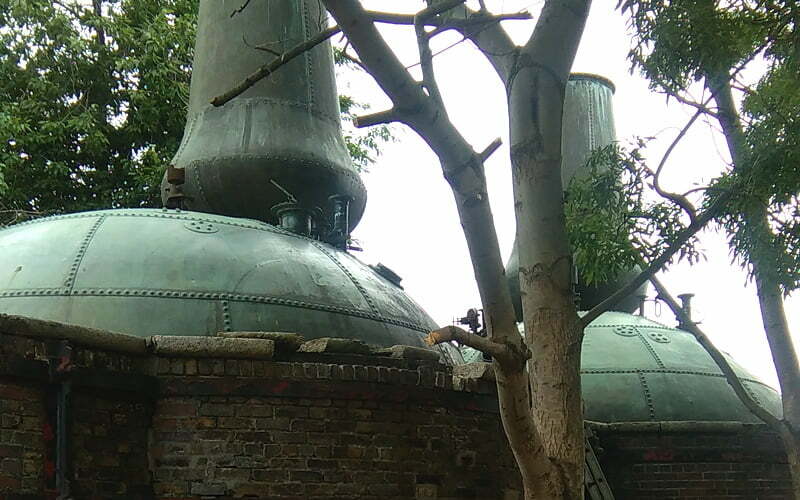 The neglected stills were completely hidden by trees and overgrown bushes. 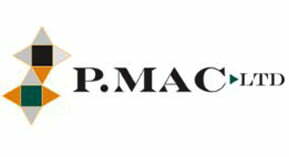 As part of an initiative to enhance the Thomas Street area, P Mac was commissioned to restore and reveal these long-neglected, hidden gems. 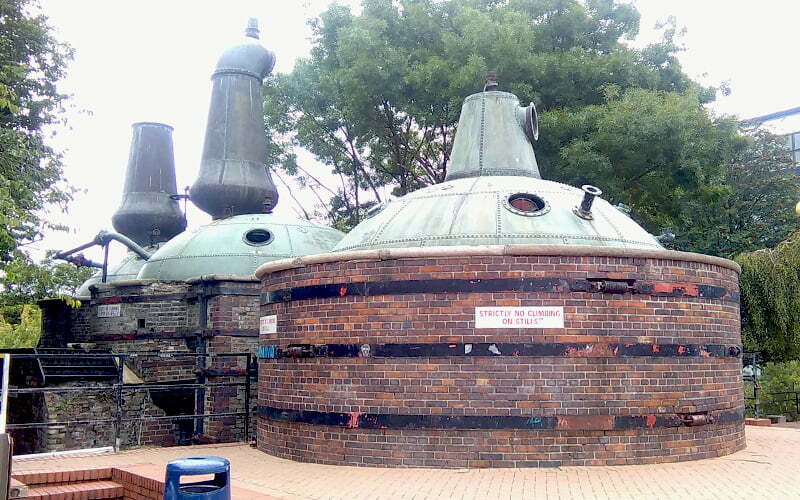 Our initial task was to remove all the growth choking the traditional whiskey stills. 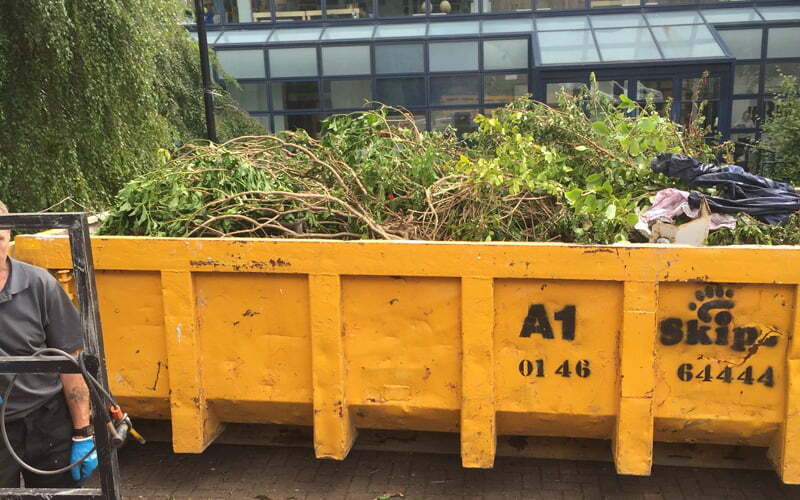 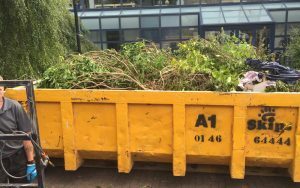 It took our team a week to cut down trees and remove all the growth, but three skips later some brickwork was finally revealed. 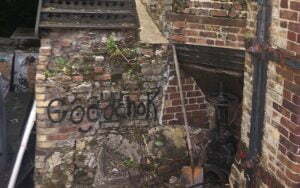 Ivy and branches were actually growing in through the bricks, and this had to be removed as carefully as possible to restrict any further damage to the brickwork. 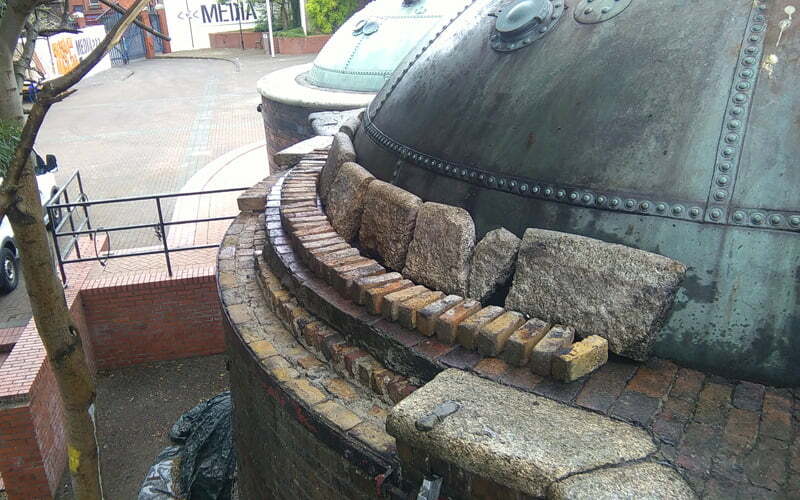 After week one, the object of our labours was exposed – Powers’ majestic brick and granite whiskey stills. 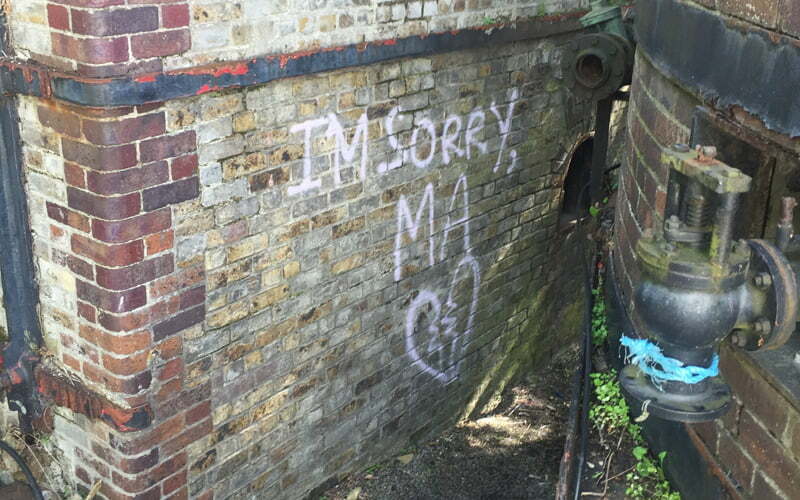 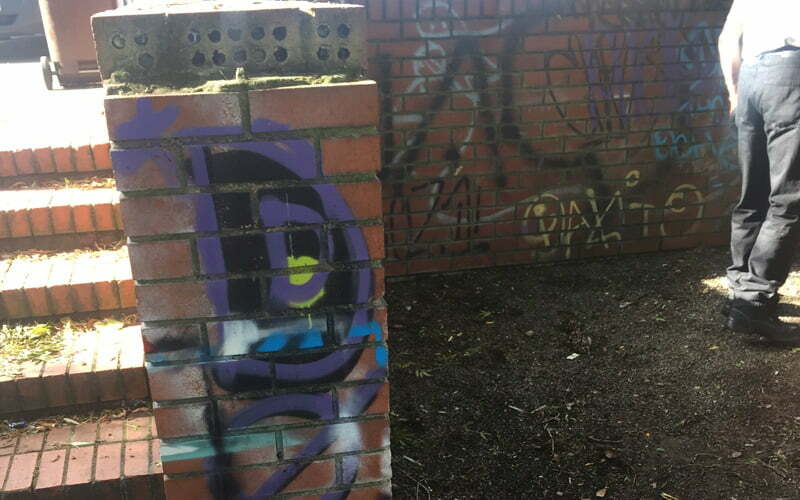 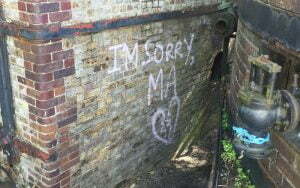 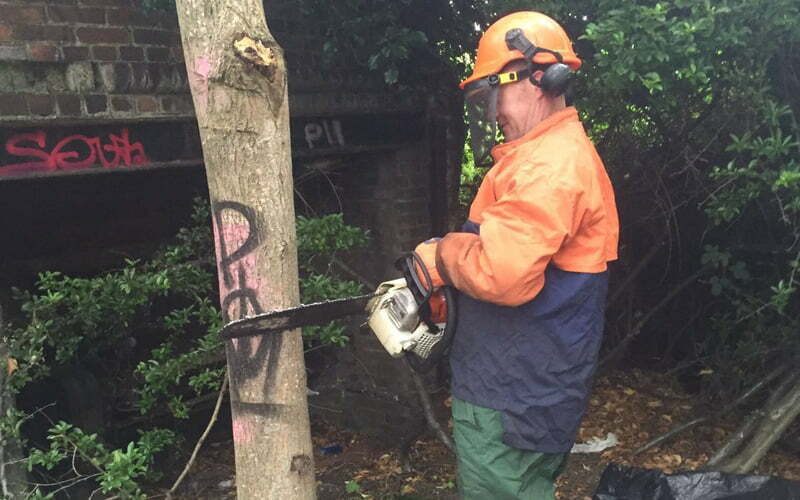 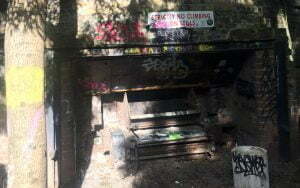 The brick was also covered in graffiti, which had to be removed using mild chemicals. 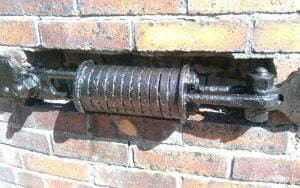 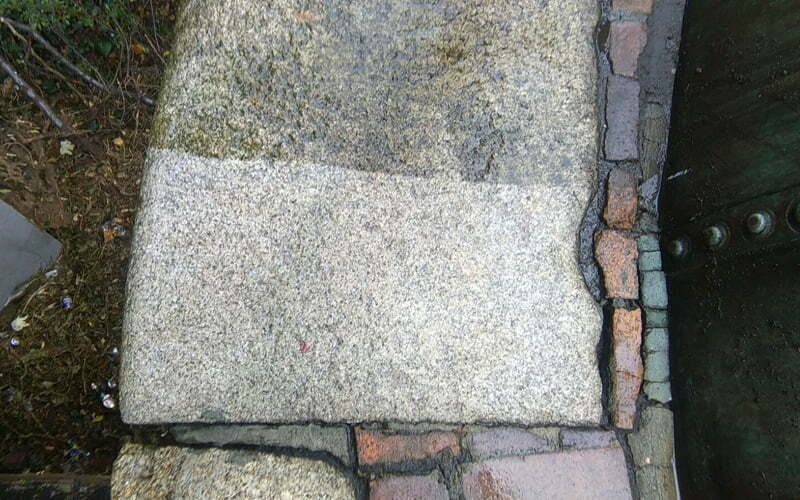 Once revealed, we cleaned all brick and stone works. 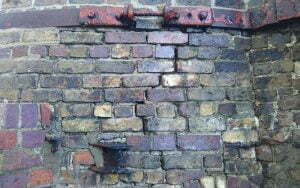 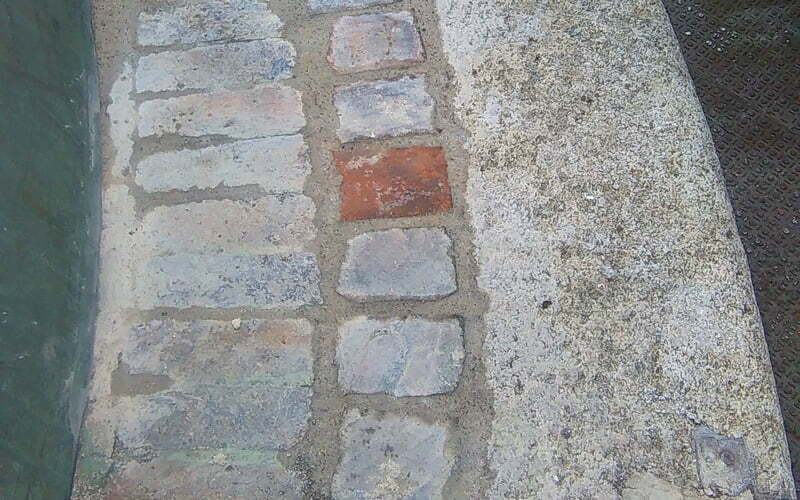 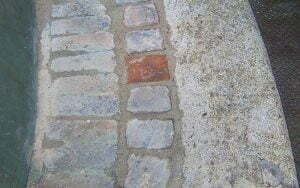 We didn’t want to bring the bricks up to look too clean, as this would render them too new looking. 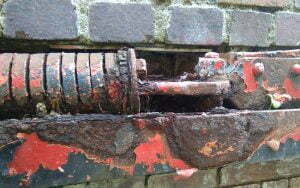 We cleaned them gently using mild detergents and safety clean. 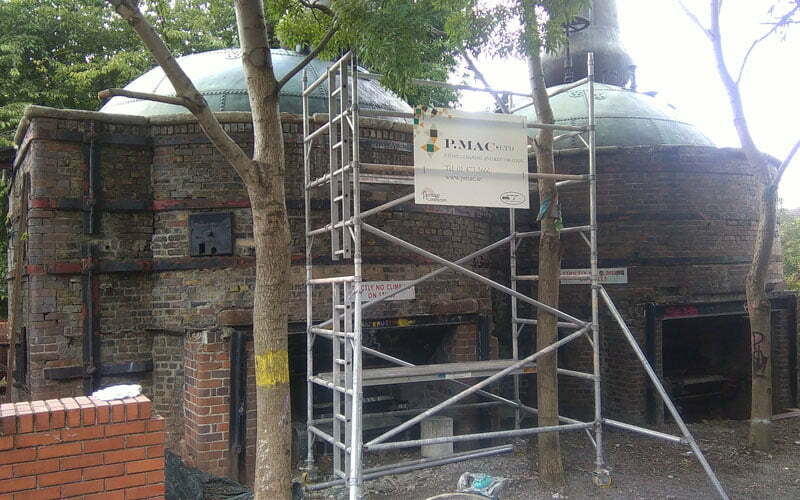 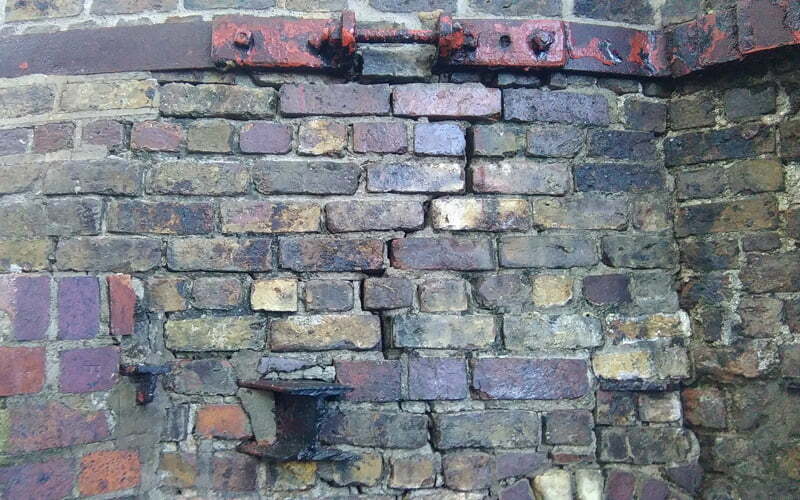 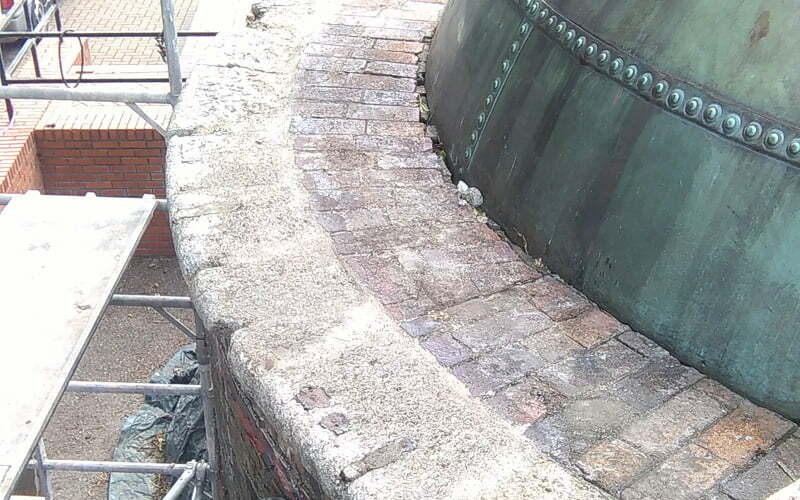 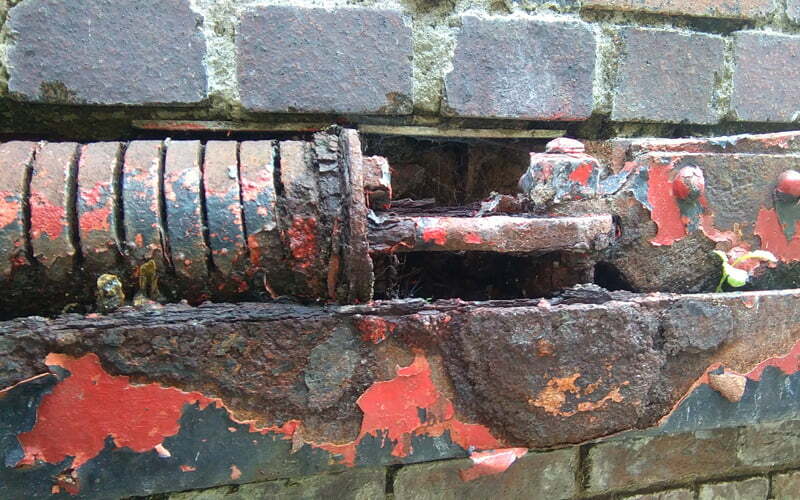 Once all the brickwork was exposed on the whiskey stills, we were able to assess what repairs were required. 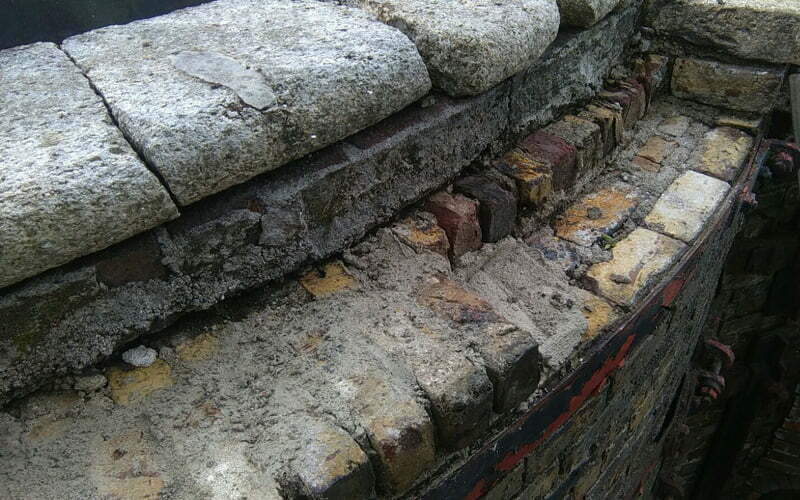 The ivy growing through the bricks had caused spawling and the granite cappings and bricks were badly damaged. Our stone repair and restoration team were therefore the next to arrive on site. They carried out extensive brick and mortar repairs, repointing large areas of brickwork, and relaying the granite cappings. 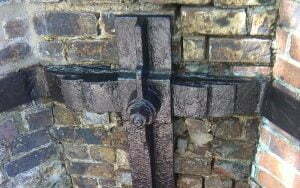 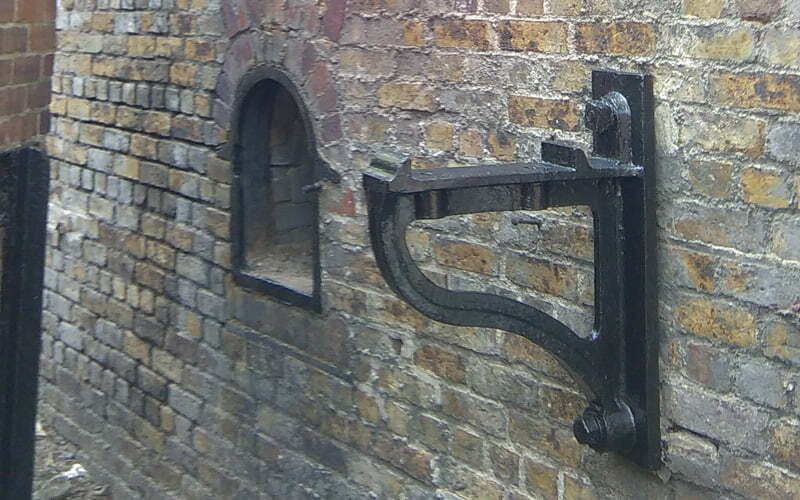 We also restored the large pieces of ironwork, which had rusted considerably. 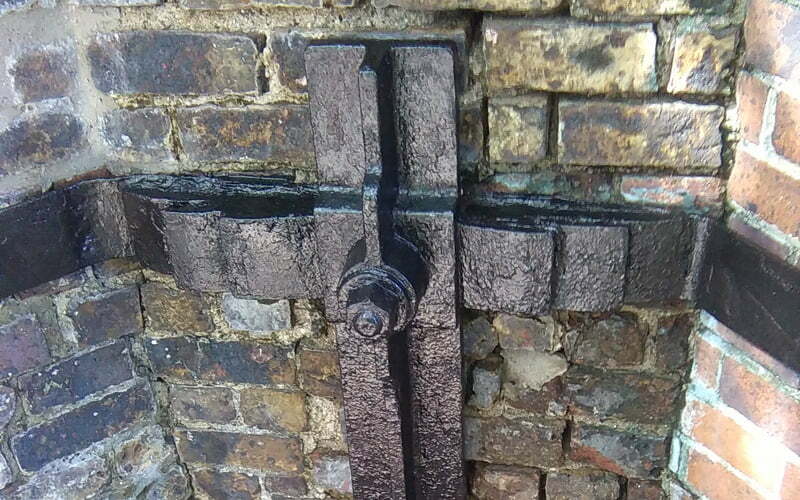 Once repaired, all the metal was repainted in traditional glossy black. 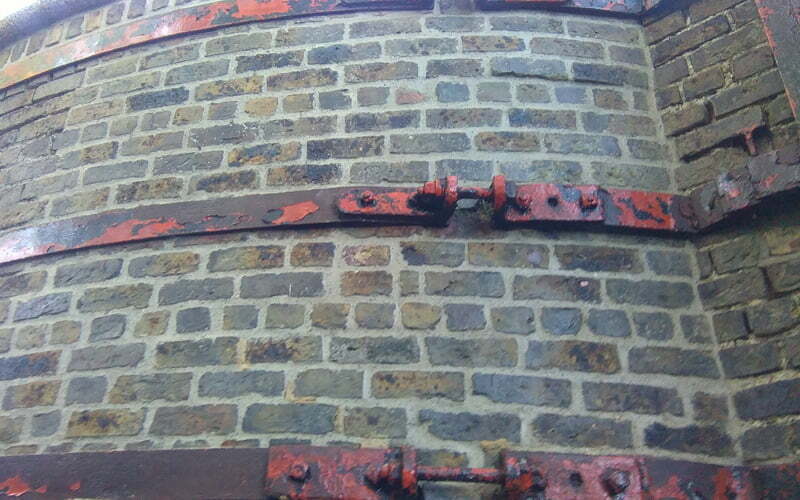 These beautiful stills form part of a fantastic historic tour around the area. 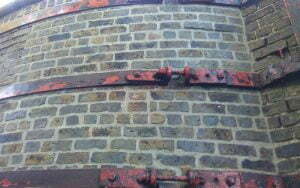 The Powers’ Distillery was the birthplace of Dublin’s brewing and distilling tradition. 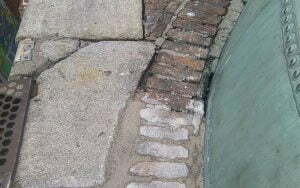 Established in 1791 by James Power, the John’s Lane Distillery was built on the edge of Medieval and Viking Dublin, in an area that was once part of the lands of the Friary of St. John. 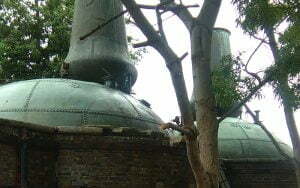 The pot stills of the Powers’ Distillery were where the wash made from malted and unmalted barley was distilled – not once or twice, but uniquely three times as only Irish whiskey is, with over 33,000 gallons reduced to 3,000 gallons by each distillation. 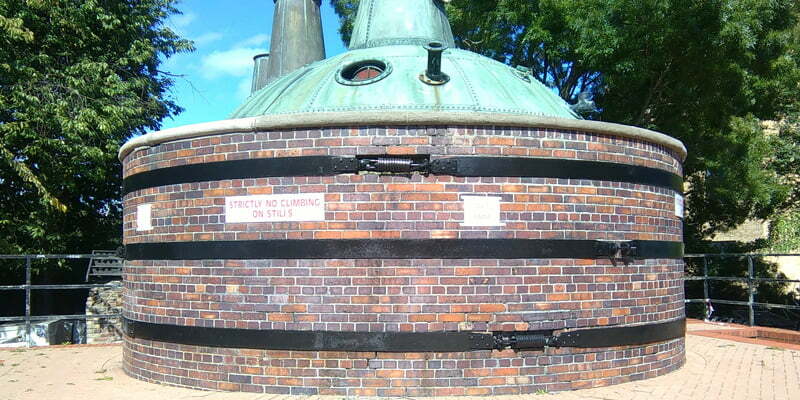 By the 1880s, John’s Lane Distillery was producing over 900,000 gallons of whiskey a year. One of the stills, known as Jack Still, had a capacity of 7,500 gallons and was specially constructed for Powers’ by Turnbull, Grant and Jack of Glasgow. 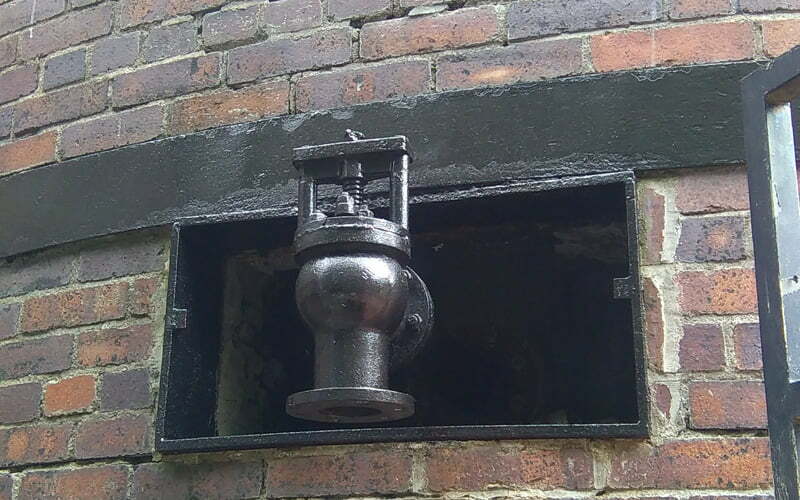 It was in constant use in John’s Lane from 1888 until the closure of the Distillery in 1975. 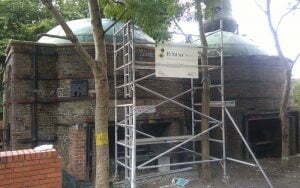 A new walking tour that includes the stills will be opening soon. 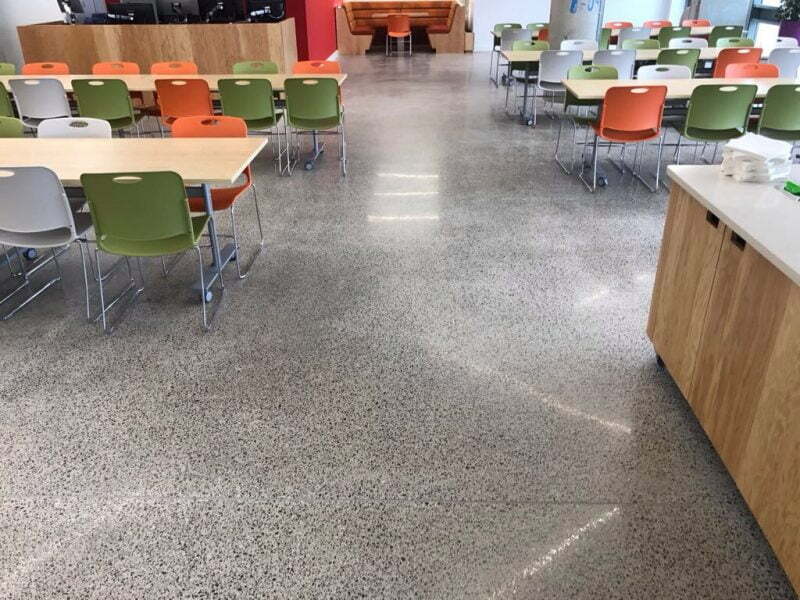 Achieving different finishes with polished concrete How much does a polished concrete floor cost?